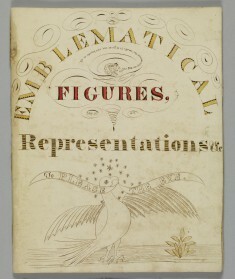 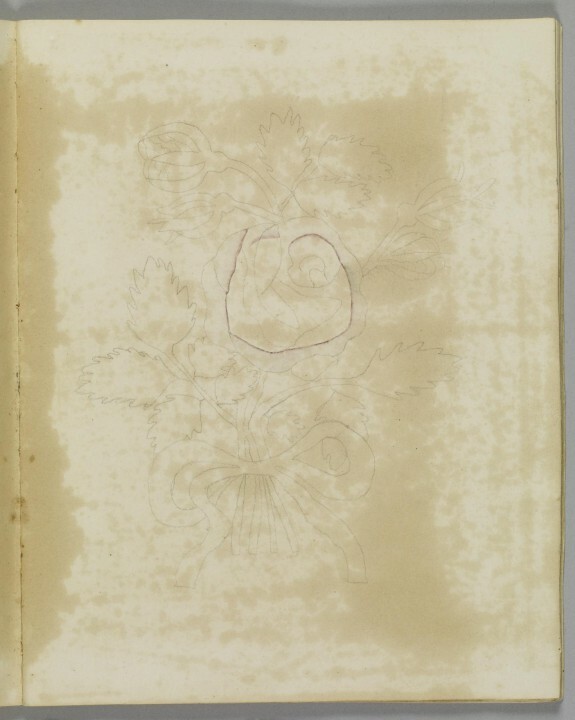 Description The earliest dated record of Justus Dalee's activity is this fifty-two page sketchbook entitled "Emblematic Figures, Representations, and, to Please the Eye." 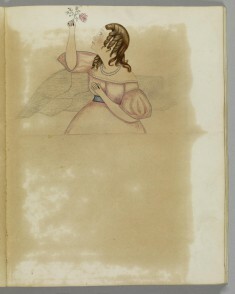 It is a homemade hand-sown volume. 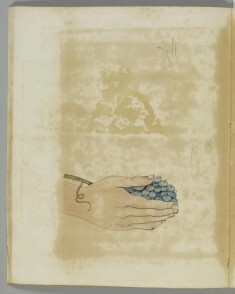 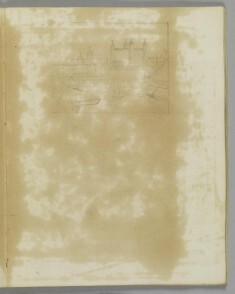 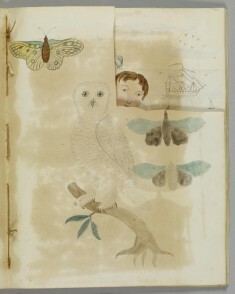 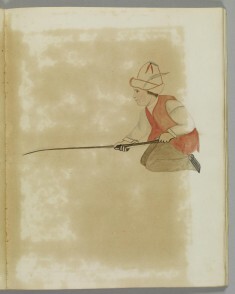 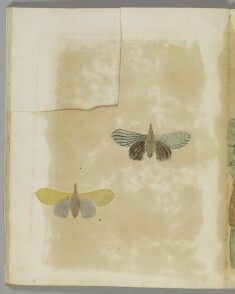 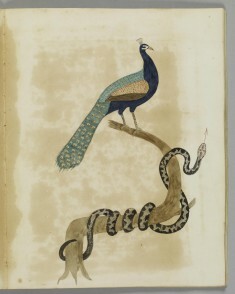 The facing pages show finished watercolor and ink compositions, pencil or watercolor and ink renderings, and unfinished or preliminary sketches in pencil, with some page left blank. 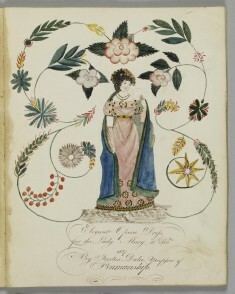 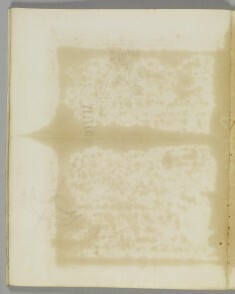 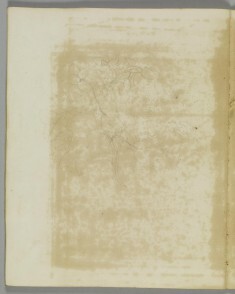 The illuminated title page is dated "May 19th, 1826," and the latest dated drawing in the book is inscribed "February 12th, 1827." 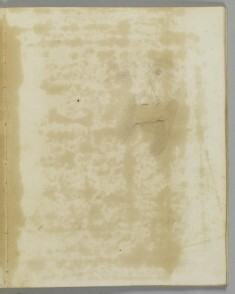 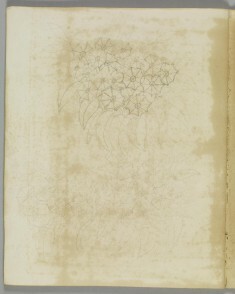 Several of the drawings are signed in full, and on one page he titled himself "Professor of Penmanship." 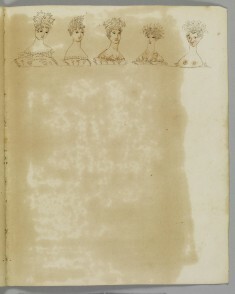 At least four drawings are copies after printed plates in an early edition of an art instruction manual, "The Oxford Drawing Book." 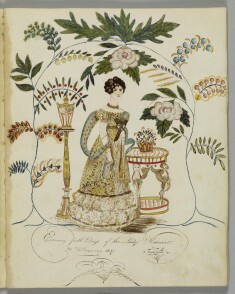 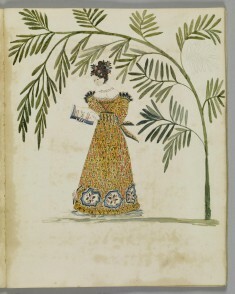 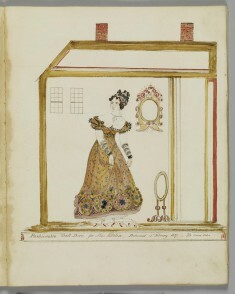 Several others appear to be a copies of engraved fashion plates with floral embellishments. 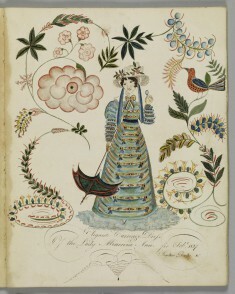 Dalee was a school teacher in New York State and is also known to have worked in Massachusetts. 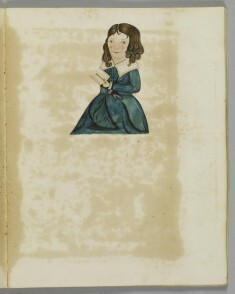 He is best known for his miniature portraits in profile and family records or registers. 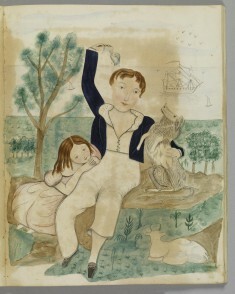 Probably born in 1791 he is known to have been active between 1826 and 1848. 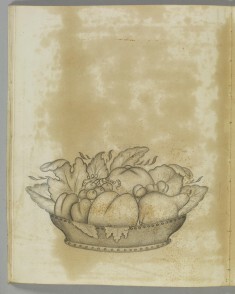 He is last documented as a "grocer" in Rochester New York from 1848-9. 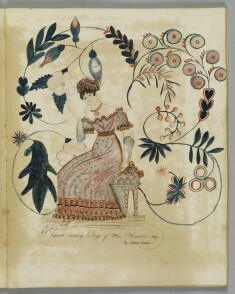 Provenance Miss Dorothy Kent Hill [mode of acquisition unknown], before 1974; Walters Art Museum, 1974, by gift.